Nokia 7 Plus is now reviving official Pie update from the OEM. As promised by Nokia, Pie update is rolling out now! Nokia 7 Plus users should get the update via OTA (over-the-air). If you still not getting the OTA due to region problem, try out our guide below on how to update Nokia 7 Plus to Android 9.0 Pie official firmware. 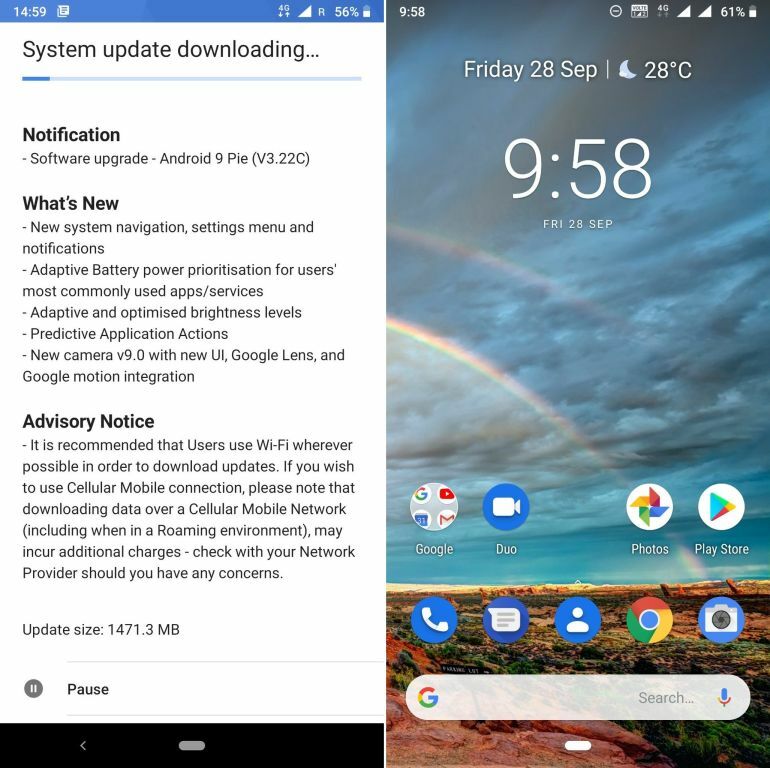 We have seen Nokia bringing Android Pie beta software update to their device so fast in the recent month. Android Pie contains a number of great features such as optimized system performance, adaptive battery, new full-screen gesture and more. This update sees Nokia become one of the few OEM to roll official Pie update, beating out some bigger companies like Samsung and LG. The update passed through a lot of testing, thanks to the OEM for their previous beta builds. So, no doubt, this update is likely to be stable without any significant bugs. You can download the update by simply going to Settings option and check for update. Users from India were already receiving the OTA. But if you are from some other region where the OTA still not rolled, you can sideload the update ZIP file. We have a tutorial below for that. Read ahead. The latest stable Pie update for Nokia 7 Plus labeled V3.190, appears to be minimal. The update includes September 2018 security patch. Back in August 2018, Sarvikas said that Nokia 7 Plus would be the first device from HMD global to get Android 9 Pie. So as per the target, the company successfully able to deliver the official version of Android Pie. According to HMD global, the operator/carrier based device will be the next to catch the OTA. You are out of the region where the OTA is not available. You might have a different operator/carrier. If you are in custom ROM, there is no chance of getting official updates. Rooting: If your device is rooted, there is a chance of OTA break. The OTA update weighs 1471.3 MB brings a lot of improvements, bug fixes, and changes. 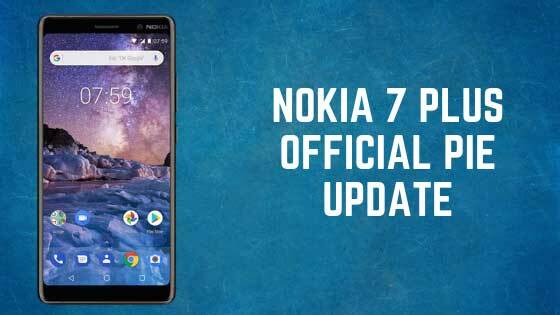 Before you head over to the tutorial on how to install Nokia 7 Plus Android Pie update, check out some changes and features that will accompany. Being based on the latest irritation of Android, the update carries all the Android 9.0 features. The App action and Slices that analyze your usages and provide a right response for faster process. Adaptive battery examines the usages of the battery using Machine Learning technology and prioritizes battery on important apps. It also automatically set the phone brightness based on the interaction with your area. There is a new full-screen gesture-based system navigation which is unique in Android Pie. The navigation system is disabled by default, which can be easily enabled from the phone setting option. Love the features? We love it too, and we know you are looking forward to installing Android 9.0 Pie on Nokia 7 Plus. But before heading to the installation tutorial, we recommend you to check out the Pre-requisites section below. Enable OEM Unlock: Settings > Developer options > Enable OEM unlock. Install Nokia 7 Plus USB driver on your computer. Once you are sure that you have completely backed up your data, proceed to the tutorial below to and update Nokia 7 Plus to Android Pie using fastboot. There are two different methods to update the Nokia 7 Plus to Android 9.0 Pie. Either you can sideload the Android Pie OTA using Stock Recovery, or you can flash the factory image. Since we don’t have a factory image, for now, we will opt to sideload method. Download Android 9.0 Pie for Nokia 7 Plus from the OTA link above. Install ADB and Fastboot driver (Ignore if already done). Press and hold [Volume Down] + [Power] buttons till you see the bootloader/fastboot mode. Use Volume Keys to select “Recovery Mode” and press [Power] button to enter to the stock recovery. On the Android bot screen, hold the [Volume Up] button and tap the [Power] key once. 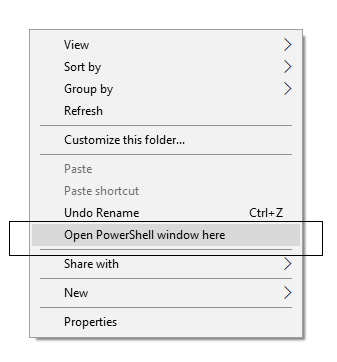 Copy/Paste the downloaded file to your ADB directory [C:\adb]. Your OTA installation should start now! Once the installation is completed, select “reboot system now” option from the recovery menu. While the device boots, it shall run the latest Android 9.0 Pie firmware. Now, simply browse around and check out all the new Pie-specific features. So you are done with this tutorial! You had successfully installed Android 9.0 Pie on your Nokia 7 Plus using our guide. If you faced any problem with performing this tutorial, please let us know by dropping a comment below. Our team will reply you back as soon as possible. Previous articleDownload Samsung Experience 10 Launcher v10.0.00.51 APK now!